AVANI Kalutara Resort is located amidst Kalu River and Indian Ocean. 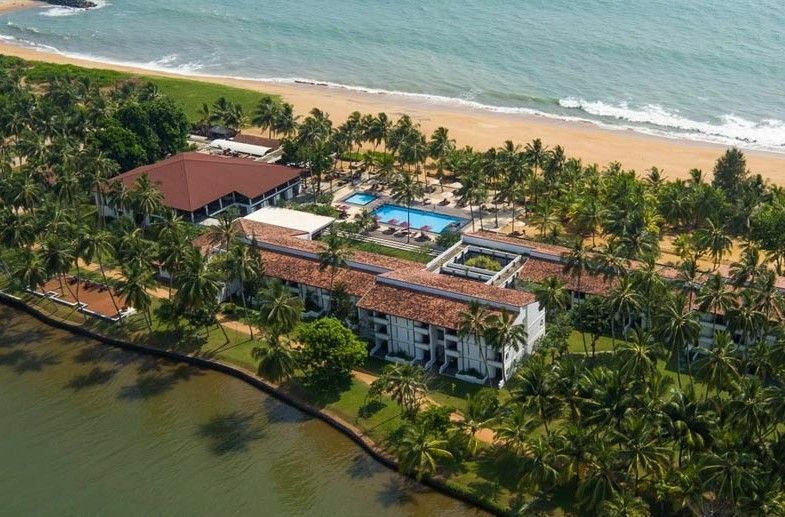 With the serene waters of the Kalu Ganga (river) on one side and sun-drenched shores on the other, AVANI Kalutara Resort is an ideal getaway, be it for family fun or a romantic retreat by the ocean. It is an ideal choice amongst resorts in Sri Lanka for those looking to experience all the cultural, historical and natural attractions in Kalutara as well as other south coast areas. There are 105 rooms and junior suites all featuring either a patio or balcony with idyllic views of the ocean, river or gardens. The four dining venues serve authentic local dishes and international favourites, while private dining is on hand as well. One can make use of an onsite pool, meeting space, free Wi-Fi and host beach weddings too. Guests also have access to the spa, kids club and water sports centre at the close by sister property, Anantara Kalutara Resort.